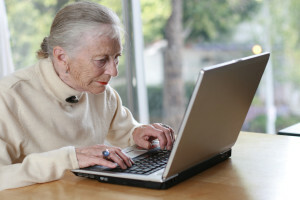 Elderly lady typing on laptop. Shallow DOF. Willow Creek Learning > Elderly lady typing on laptop. Shallow DOF.